A guide on how to play Camping Out, a Classic Kingdom game in Kingdom Hearts 3. Also included are the controls for the mini game. 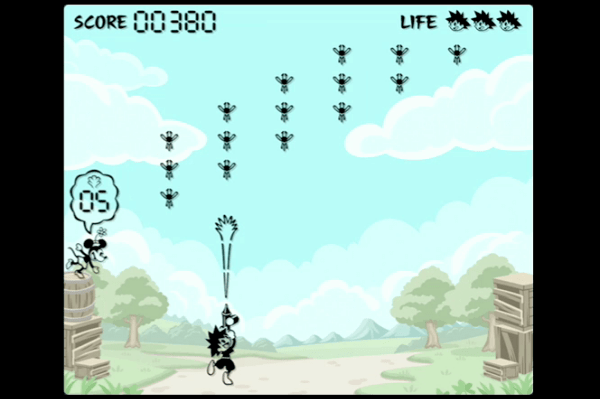 In this mini-game, Sora must use different types of bug spray to stop mosquitoes from reaching the ground. Mosquitoes that reach the ground will deplete Sora’s HP. There are also white mosquitoes that will appear in later stages. These white mosquitoes can only be defeated if hit twice. Minnie provides penetrating bug spray bullets on the left side of the screen. On the right, Mickey offers a bug spray that fires three bullets in a straight line.